When you exercise — whether that’s CrossFit, spin class, or running — your body’s natural process of muscle protein synthesis (MPS) repairs muscle tissue with protein. With AMPED Tri-Release Protein, your body benefits from a fast, medium, and slow amino acid release that works for you — even after your workout — helping you recover faster and improve your body definition. 25 g fast-, medium-, and slow-release high-protein blend. Velositol® to help maximize muscle protein synthesis. Undenatured whey and milk protein from grass-fed cows plus egg white protein. Made with natural ingredients with no artificial flavours, colours, or sweeteners. 140 calories, 6 g carbs, 1.5 g fat, and 2 g sugar. AMPED Tri-Release Protein is a delicious anytime protein drink designed to maximize your body’s natural muscle building process. Available in two crave-worthy options, Chocolate Milk Flavour and Vanilla Custard Flavour. A blend of three proteins plus patented Velositol® work together to enhance muscle protein synthesis — the body’s natural process of building muscle upon exercise. 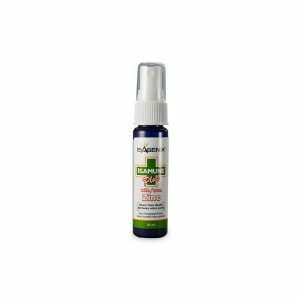 Protein helps the body recover from strenuous activity, and this blend of three proteins offers a sustained amino acid release, which optimizes recovery over time. Take AMPED Tri-Release Protein at any time of the day — before or after you work out. Because when your workout is over, your body has a lot more do to. 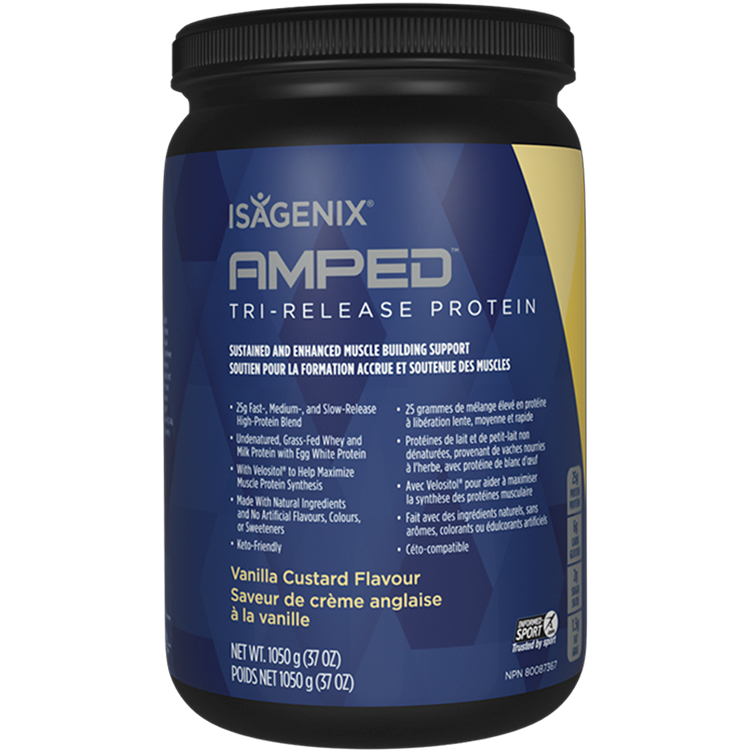 AMPED Tri-Release Protein features not just one but three different types of protein that work together to give your body both an immediate and a sustained release of amino acids. If you recall from high school science class, amino acids are what your body uses to build and maintain muscle tissue. Long story short, muscles need them for repair and growth. 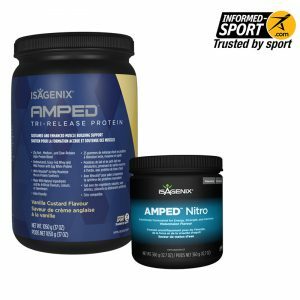 Is AMPED Tri-Release Protein a meal replacement? No, AMPED™ Tri-Release Protein is a premium protein supplement and does not contain carbohydrates, fats, or other nutrients at a level suitable for the nutrition profile of a full meal. Velositol® is a patented amylopectin chromium complex designed to improve the efficiency of branched-chain amino acids (BCAAs) to maximize muscle protein synthesis (MPS) when combined with protein. In a clinical study, researchers showed that MPS was enhanced when participants used Velositol® after exercise compared to protein alone (1). How can I be sure that taking this protein won’t derail my weight loss progress? As part of healthy lifestyle designed to support weight loss, consuming targeted amounts of protein throughout the day can support weight loss efforts, help keep you satisfied, and improve body composition. 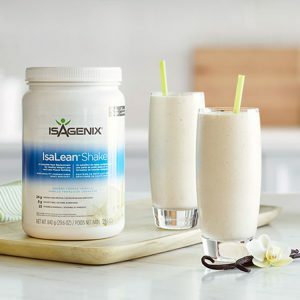 In a clinical research study using Isagenix products, researchers found that consuming a diet higher in protein helped participants lose more body fat, more body weight, and more abdominal fat all while maintaining lean body mass. 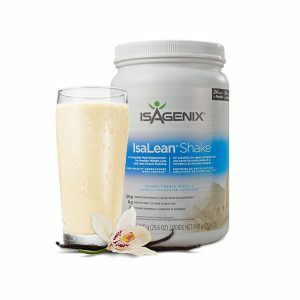 For more information about this study, see this article: IsagenixHealth.net/Protein-Pacing-Works-Fat-Loss. 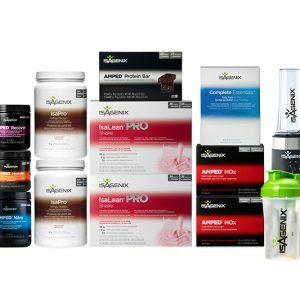 AMPED Tri-Release Protein is a good option for those looking to lose weight or add more protein to their diets as well as those who work out regularly. Increased levels of protein can support weight loss goals by maintaining lean muscle mass and increasing satiety. This product can assist in the building of lean muscle when combined with regular resistance training and a healthy balanced diet. 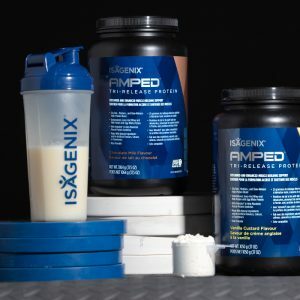 While AMPED Tri-Release Protein, IsaPro®, and IsaLean® PRO Shake are all packed with high-quality protein, Tri-Release Protein is a multistage protein supplement made with whey protein isolate, egg white protein, and milk protein concentrate and is formulated to support muscle growth and performance goals. 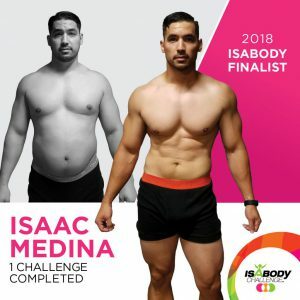 By contrast, IsaPro is a whey protein supplement, and IsaLean PRO is a full meal replacement shake made from the same high-quality whey protein. 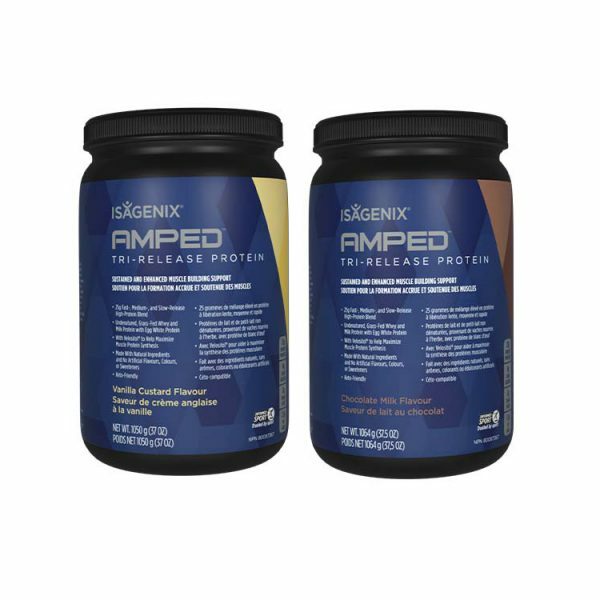 Isagenix created a WORLD CHAMPION product with the Amped Tri-release Protein! 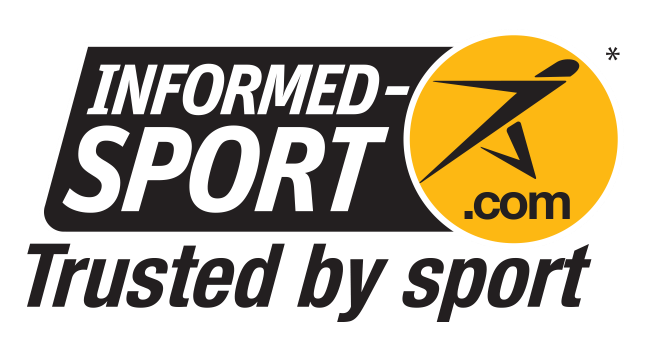 As an elite age group triathlete, I have never used a product that helped me achieve the performance benefits I’ve experienced in a matter of weeks by incorporating this into my daily nutrition regimen! My strength to weight ratio has skyrocketed!! Tri-Release Protein has been a game changer for me. This has filled a big void for me, and I use in different ways. That how great it is. I use it for post works, a snack during the day, or before bed. It’s made a big difference in my results. 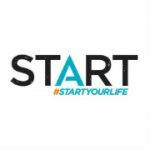 As an elite age group triathlete, I LOVE the performance benefits I have experienced in a short time by incorporating this AMAZING product into my daily routine! My strength to weight ratio has skyrocketed! 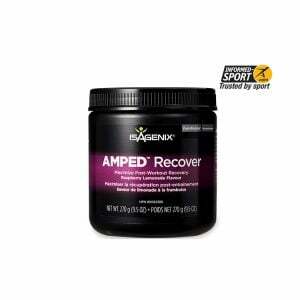 Isagenix created a WORLD CHAMPION product with the Amped Tri Release Protein! 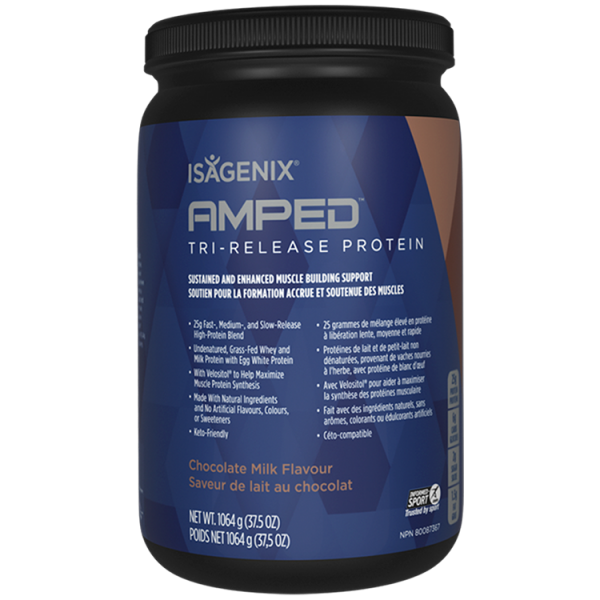 Amped Tri-Release Protein is such an incredible product. As an endurance coach and athlete I’m always looking for something that’s going to give optimal recovery. I can give the best workouts, but if people aren’t recovering properly they’re not benefitting. Tri-Release makes it so easy to get the proper blend of time released protein into my body for that optimal recovery. 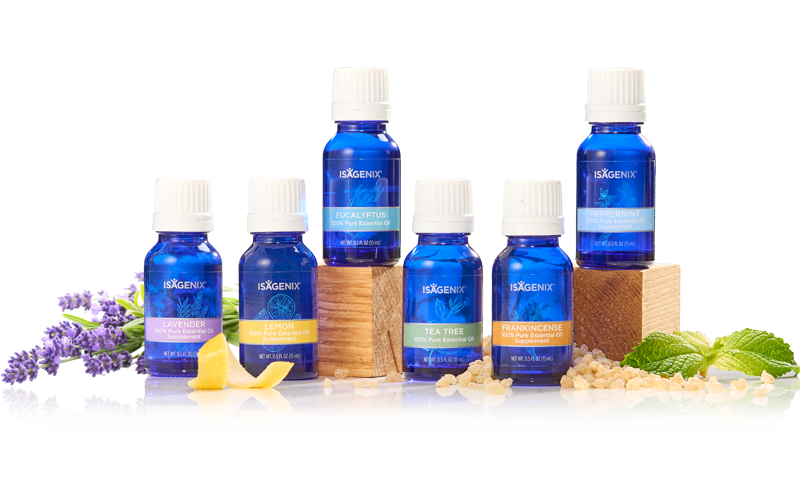 I noticed it working right away for recovery and within weeks saw noticeable gains in muscle mass and loss of body fat. That’s usually a hard combination to get. 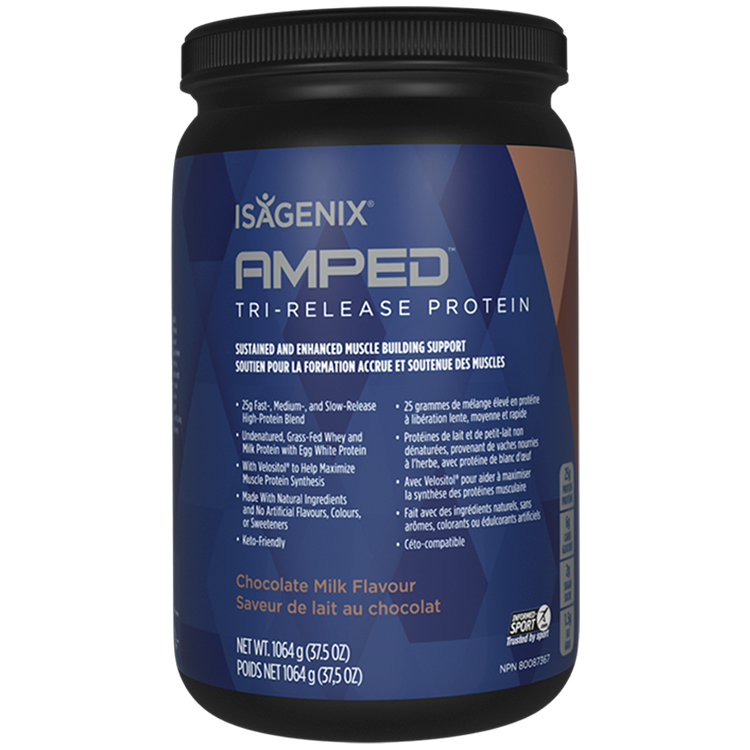 Love the taste and effectiveness of the Amped Tri Release Protein. 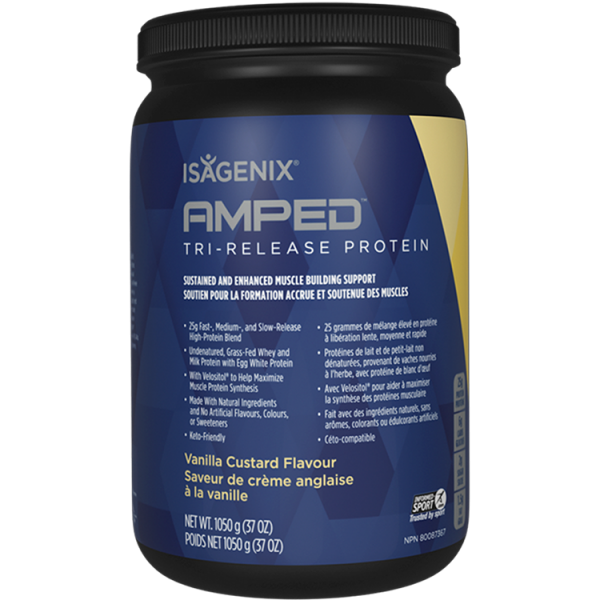 The Amped Tri Release Protein is a WINNER! 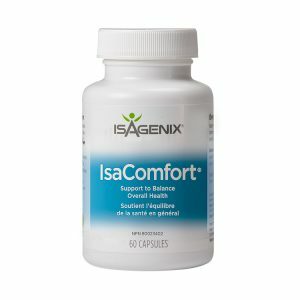 It helps you work longer & stronger through your workouts as well as recover faster ! It lets you find the CHAMPION inside yourself. I love it ! You will too ! 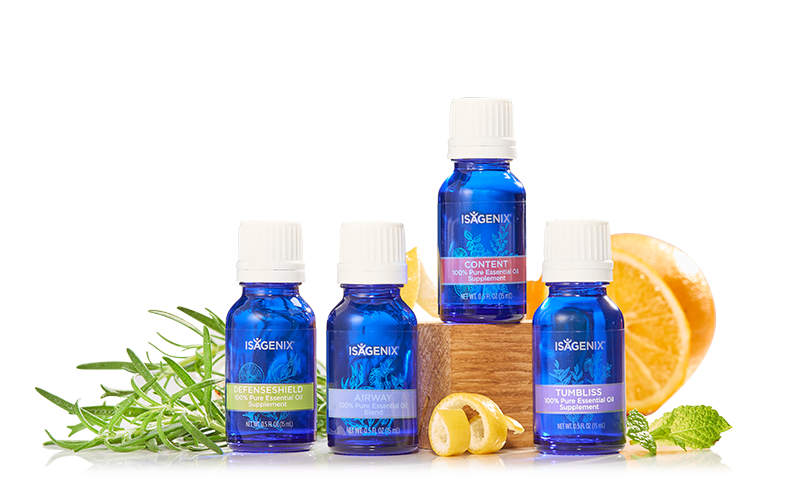 This product has truly transformed me more than I thought ! I am seeing faster results and a big change in the toning and definition throughout my body. Longer and harder workouts and the best recovery yet ! 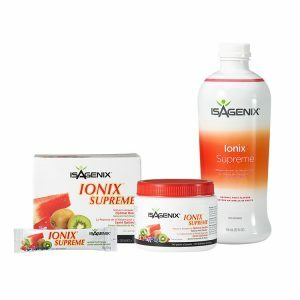 I have been taking Isagenix Proteins for over 10 years I have seen incredible results in weight management and maintaining my muscle mass. 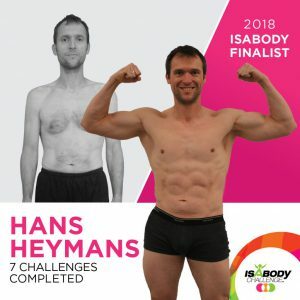 I’m a cyclist and I consume a lot of my muscle on my daily trainings and my monthly competitions. 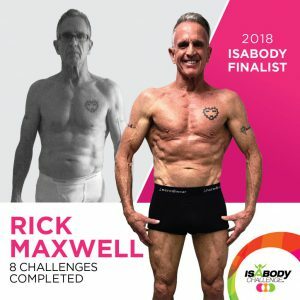 For many years I have been trying to gain son muscle mass in my biceps and chest and wasn’t really successful, until I tray the new AMPED Tri-release protein and gained two inches in my biceps and two inches in my chest in less than 60 days. I love the taste and I love the results. I’ve had the opportunity to use the Amped Tri-Release protein over the past 60 days. Both flavors are absolutely delicious! Chocolate Milk and Vanilla Custard. I can’t even choose my favorite. 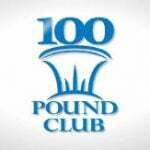 This product has helped me gain more lean muscle and best of all, I am never sore after my CrossFit workouts anymore. I love having it right after my workout for recovery! 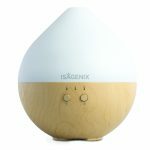 I love this product!! 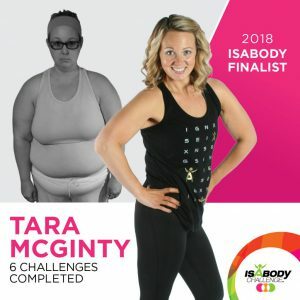 I’ve been using it post workout for 2 months now and can’t believe how great I feel! No soreness and my lean muscle gain has been impressive! I love the chocolate taste too! 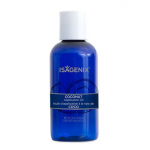 Adding this to my regimen helped me lose weight and look toned faster than I ever have before. I increased my reps and weights on all of my exercises. I spent less time in the gym and looked better! I also was never sore! I LOVE it! !